It’s hard to believe Westworld’s second season is half over, but at least we have another exciting episode to look forward to this week! HBO has also released new photos for episode six, titled “Phase Space.” It is written by Carly Wray and directed by Tarik Saleh, and the synopsis is “We each deserve to choose our own fate.” Take a look at photo number one above and head below the cut for the rest! 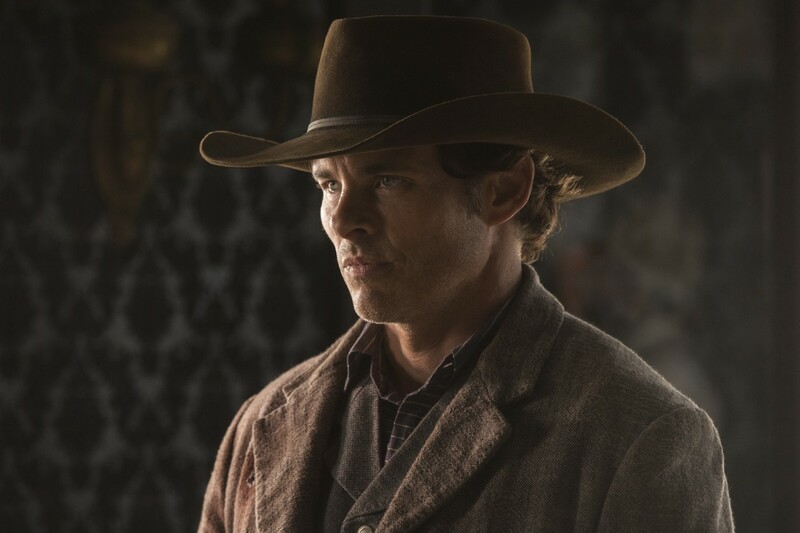 In the first photo, Dolores (Evan Rachel Wood) is sitting at the player piano at the Mariposa – perhaps looking at “Evil” Teddy (James Marsden) who is in the photo below. He has a darker look on his face than we are accustomed to seeing – much more intense. Although it’s sad to think about how radically Dolores has changed him, it will be interesting to see Marsden playing an almost completely different role. 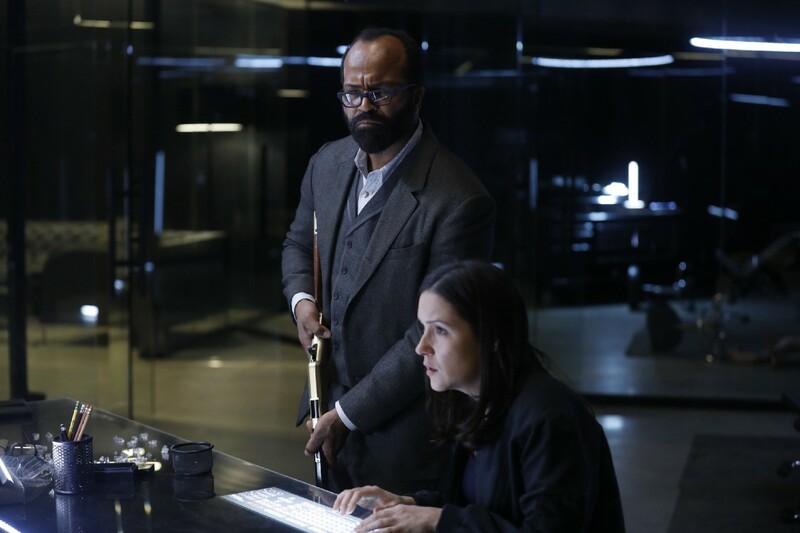 Next we see Bernard (Jeffrey Wright) and Elsie (Shannon Woodward) looking concerned/confused as they stare at a computer screen in the Mesa Hub. Have they discovered more of Delos’ secret plans? 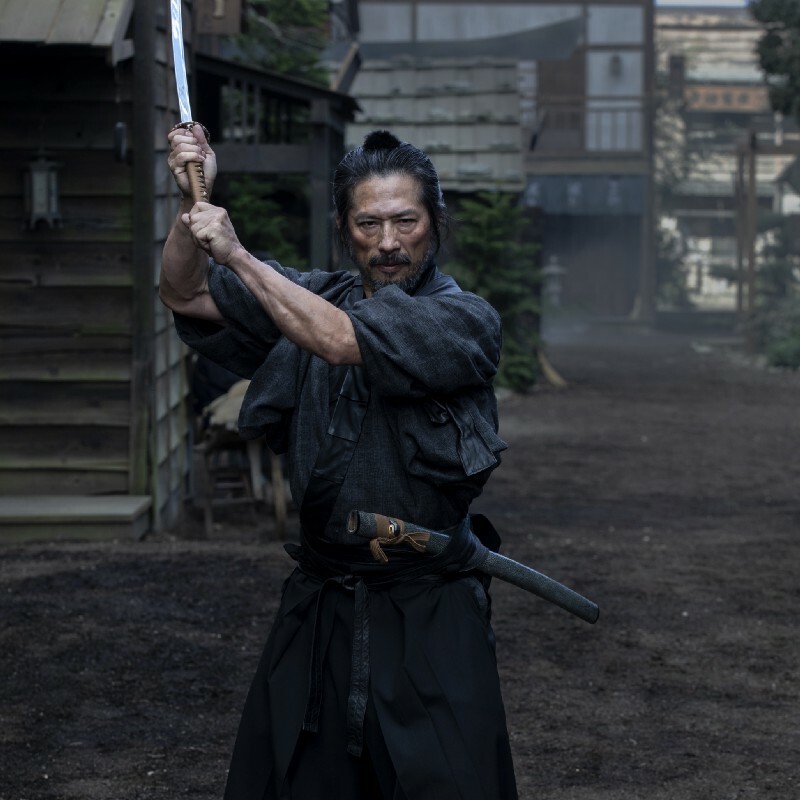 It looks like we aren’t quite done with Shogun World as Mushashi (Hiroyuki Sanada) prepares for a fight. Hopefully the rest of his crew – and Maeve’s – made it through the last battle unscathed. Maeve (Thandie Newton) appears none the worse for wear, although she doesn’t look very happy in this scene. It seems someone, or something, has her scared – although her newfound powers of control should serve her well. Finally we see William (Ed Harris) and his daughter Emily (Katja Herbers) conversing by a campfire. Will they attempt to salvage their relationship? Perhaps when she discovers that William is trying to undo his “greatest mistake,” she’ll finally be able to forgive him. Do you have any theories for these photos? Let us know in the comments! Is Dolores in the Mariposa? I don’t recall the area around the player piano looking like that. It also appears Maeve is in modern dress, but the background suggests she’s in Sweetwater. 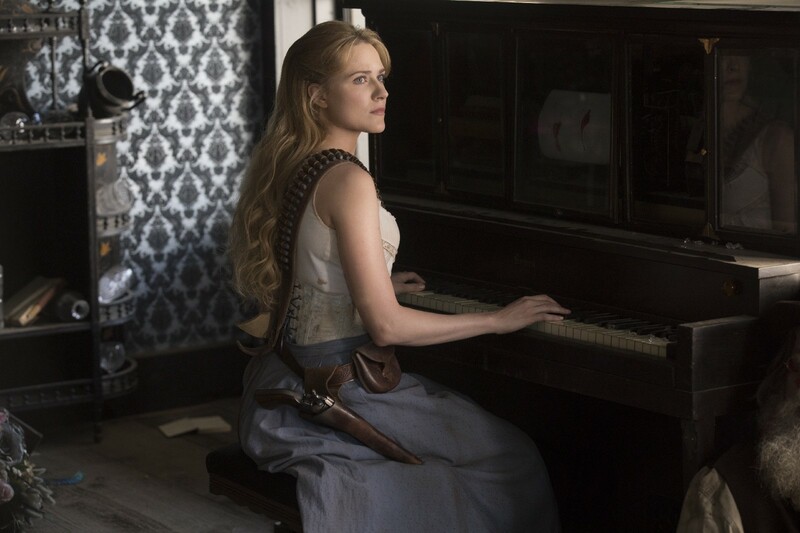 I wonder if Teddy will become as ruthless as Dolores intended, or is his “core” code still that of the Handsome Hero Who Has Done Wrong And Seeks Redemption? That conflict, if it exists, would be great to watch. That pic is very badass! Sanada was great in episode 5. I think Dolores is in the Mariposa… I didn’t remember the wall paper being like that either, but that same grey-bearded dead host is laying up against the right side of the piano, which is consistent with that one shot we got in episode 1 of the Mariposa’s player piano. My guess would be the Mariposa. 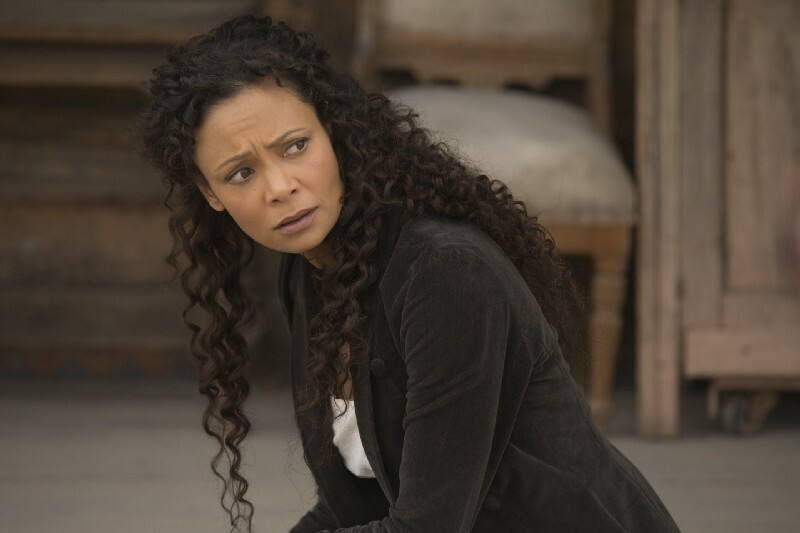 Yup, it seems Maeve already made her way back to Westworld! I’d imagine she’d still be in her Kimono if she was still in Shogun World; maybe they find their way to an extraction point or whatever they call it and she finds some modern clothes in the facility. Glad to know we’ll still be spending at least a little more time there though, with that pic of Sanada looking like he’s about to cut some people up. Interesting thoughts on Teddy… didn’t think about his core code screwing with his new narrative. It would be cool to see him have to fight between the two, sort of how Dolores is with Wyatt, Dolores, and her new voice. I’m also very interested to see the dynamic between the MIB and his daughter. I wonder if his objectives will change now, or if they’ll now team up with a similar objective? It seems they are both going for different things here in the park.